To fast (upavasa or anasana) is to go without food for an extended period. Fasting is practiced for religious, for health or for medical reasons. It has also sometimes been used for political purposes as Mahatma Gandhi and IRA prisoners did. Scientific research has shown that regular fasting for brief periods can be good for the health, although long fasts (more than three days) can be dangerous. Those preparing to undergo certain medical procedures are often asked to abstain from food. Fasting or one sort or another and for one period or another is practiced in most religions. Jains practice several types of fasting including what is called Santhana, fasting to death. Muslims are supposed to abstain from all fluids and food between sunrise and sunset during the month of Ramadan. Fasting is frequently mentioned in the Bible (e.g. Acts 14,23; Luke 2,37; Matthew 6,16; etc.) and Jesus once fasted for 40 days (Matthew 4,2). Fasting, even extreme fasting, formed a part of the self-mortification (attakilamathana yoga) practiced by ascetics during the Buddha’s time. 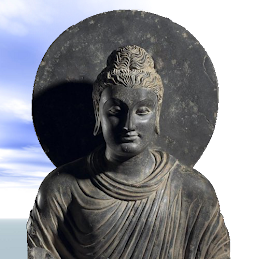 During the six years the Buddha (or more correctly, the Bodhisattva) was learning from other teachers and experimenting with various ascetic practices he to underwent long fasts. So me of these as described by him in the Mahasihanada Sutta included eating only once every seven days, eating only one kola fruit a day (M.I,78). The kola is the fruit of Zizyphus jujube, a small fruit with limbeted nutritional value (see picture). 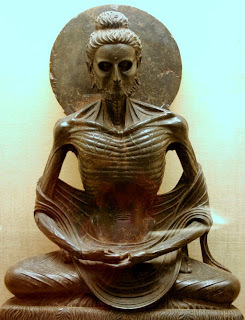 As a result of these and other fasts the Buddha’s body became extremely emaciated. ‘Because of eating so little my ribs stuck out like the rafters of an old hut, my eyes sunk into their sockets and their gleam looked like the gleam in the on the water in a deep well, my stomach touched my back bone so that when I tried to touch my stomach I got my backbone and when I touched my backbone I got my stomach, all because I eat so little’ (M.I,80). 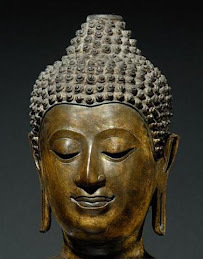 The famous Fasting Buddha in the Lahore Museum is based on this passage. 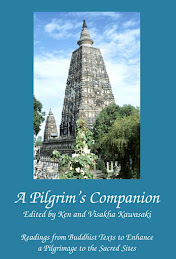 After attaining enlightenment there is no record of the Buddha fasting himself or recommending fasting. Monks and nuns are expected to abstain from food from noon to sunrise the next day, a too short to be considered fasting. Also, during that time they are allowed to take fruit juices and other liquids. Milk is included in the prohibition against food at night but for some unaccountable reason Thai monks ignore the fact that cheese is made out of milk and eat it in the evenings. The Vinaya also stipulates that monks and nuns can eat honey, sugar, oil and ghee in the evening if they are ill (Vin.III,51). Sri Lankan monks participating in all-night chanting will consume a mixture of these four substances. This mixture is called catumadhura. Lay people keeping the uposatha will also abstain from food from noon to sunrise the next day. The Buddha’s recommendation to monks and nuns to abstain from food at night seems to have been entirely for reasons of health. He said, ‘I do not eat in the evening and thus am free from illness and affliction and enjoy health, strength and ease’ (M.I473). 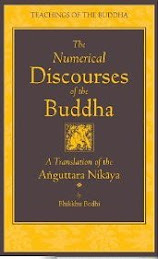 Long fasts such as are recommended by certain ‘health’ practitoners are not good for health and would contravene the Buddha’s concept of talking a middle way (majjhima patipada) and avoiding extremes. Ashvaghosa in his Saundaranandakavya gives this sensible advice about eating, ‘For the sake of your meditation and your good health, be measured in your eating. Too much food restricts the breathing, causes sloth and sleepiness and destroys one’s energy. Too little food drains the body of its solidity, its healthy color, its usefulness and its strength’. 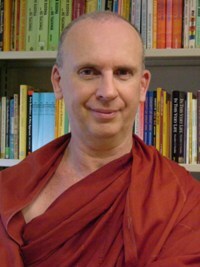 A timely article Bhante, I had recently started a 2-fast prior to my chemo session after reading about how fasting helps in chemotherapy in mice. (OK, I am no mouse but scientists are planning human trial). Interestingly, the hunger sensation went off after 12 hour or so but the craving for food did not. A good exercise indeed. "Long fasts such as are recommended by certain ‘health’ practitoners are not good for health..."
"...and would contravene the Buddha’s concept of taking a middle way (majjhima patipada) and avoiding extremes." It's a very interesting conundrum for the Buddhist laity to consider. Thanks or the extra info about extended fasts. Of course, this need not be a conundrum for a Buddhist lay person as I can’t imagine a situation when they would HAVE to go on a long fast. The fasting buddha image to me is the perfect visual representation of resolution. Resolution that brought him to the physiological limits that the body could handle short of permanent damage. Led him to see that continuing it would lead to a dead end. That his 'failure' with this method made him search for the correct method, the 'middle way'. Imagine how many of us would be doing extreme fasting now if the Buddha had not tried and tested it first? Ermm, probably not many of us but you do get the significance of the event right?